Emeka and I both very well. We really enjoyed our time in Prague. All our family and friends have arrived back to their destinations. Our Prague Wedding still the reining talk, :). I will definitely send pictures to you once I have them. I only have one so far from Kurt and attached it below. I have to leave you now and love you as Emeka and I have an excursion planned for today. We will both miss you dearly and remain forever grateful for your friendship, support and enthusiasm shown to us and our wedding arrangements. Married life is good, being back to work... not so much. We're back just over a week & it feels like about 3 months! We had a wonderful day, thanks again for everything... I keep replaying it in my head, wish I could do it all over again in slow motion... I guess seeing the video is the next best thing! I'll get you to send everything to my work address, probably handiest! 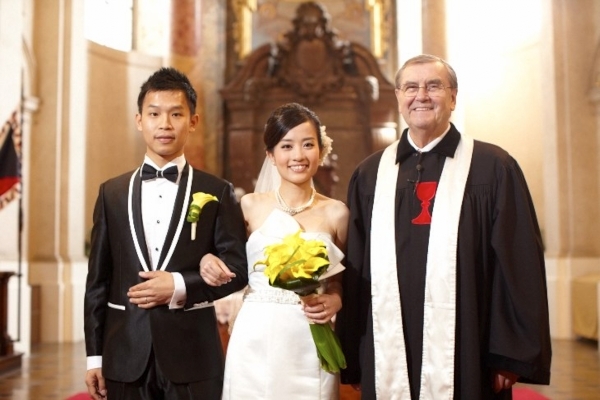 Thank you very much for your team's tremendous help so that Casper and I had such a sweet memory of the wedding. We are having wonderful married life and will be encouraging each other to keep it. 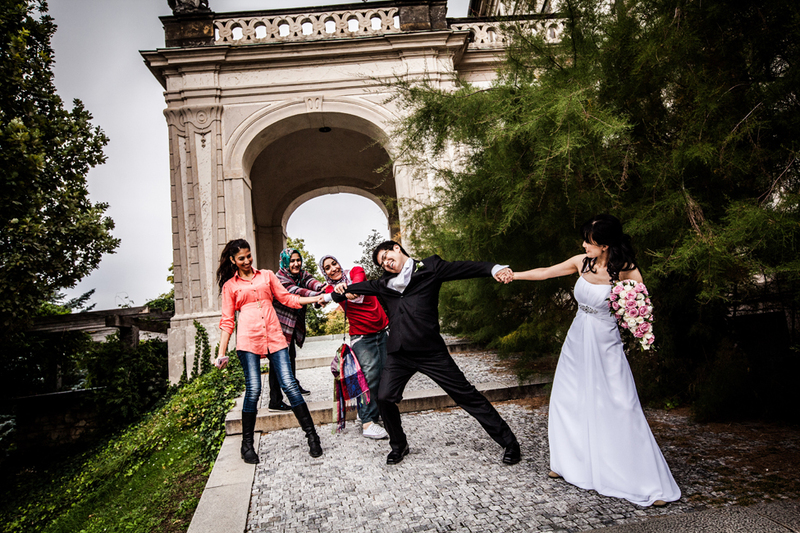 Here I attach some of the photos of our trip, and some wedding shootings. Hope you like them, thanks! Once again thank you for all you did to make our wedding day special - it was such good fun..
By the way, I got my wish. В We stayed up until 5 a.m. on the day of the wedding and had photographs taken on Charles Bridge and in the square, in our wedding gear. В It was fantastic - just us, Alan's sister and husband as the sun came up......nobody else except the street cleaners, beggers and a few stray dogs!! В Many thanks, again. В Look forward to receiving our Marriage Certificate. I am happy to tell you that the transcription to our Municipality went fine we have been able to get our first official wedding certificate in Italian!!! Lino and I just want to thank you again for helping us out on our wedding. That day could not have been more perfect, we appreciated all that you did to make our special day extra special. Your thoroughness, knowledge and organization helped our wedding be a stress free event. We are so lucky to have had you be a part of our wedding celebration. We hope we meet again the next time we are in Prague. Lino and I wish you the best and please, keep in touch. Claire & I would like to send you & Monika a massive thank you for the brilliant job you did for our wedding. It was truly the most amazing, magical experience of our lives and we still can't believe it has happened. It was like a dream. Everything was so perfectly organised and choreographed right down to the finest detail. We couldn't have wished for anymore and this memory will stay with us for the rest of our lives. Of course we're back to reality now & still coming down from the high of our special day which is only natural. I just wanted to take this opportunity to send you our sincere appreciation for a job brilliantly done. 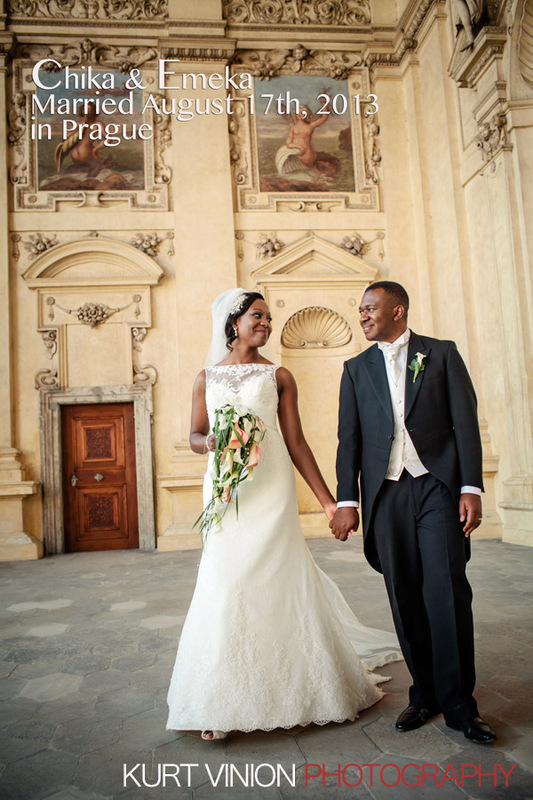 We would like to thank you again for organizing our wedding in Prague. Everything went perfectly thanks to you!! All guests enjoyed the ceremony in St. Jilji and the reception at Mlynec. A lot of people actually made a comment on the fabulous meal done by Mlynec. The wedding cake you have organized for us was also very tasty. We really had a time of our life on the wedding day. We didn't expect that we could enjoy it so much. The day really flew and it was over before we knew! We are glad we have picked you out of many wedding planners in Prague. We would both like to thank you so much for organising our Wedding in Prague, it was absolutely amazing, the Old Town Hall was so beautiful we couldn't believe our eyes. The Photographer, Video, Hotel and Restauraunt after the ceremony were fantastic, both of you were so helpful organising the Wedding and especially your help on the day which you made so perfect. We wouldn't hestiate at all in recommending Prague Wedding Planners to organise your "Perfect Wedding" We honestly can't thank you enough for making our day so special. We just arrive home from Europe and would like to take this opportunity to thanks for your help on our wedding! We love Prague, the church and beautiful bouquet, especially thanks for the arrangement on dealing with the paperwork things. We will never forget that day so thank you again, will send you photos once they are available.Wish to meet you both if we visit Prague again in the future. Thank you so much for the email and all your help over the past few months. We really enjoyed our wedding experience and felt that we definitely made the right decision going to Prague and using your company. The pictures are amazing and we're really pleased with them. I've just been to boots and had some printed and all the girls in the office are ahhing and oohing over them. Thank you again and I have attached a couple of pictures for you.